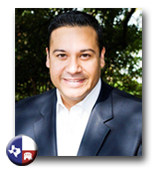 Jason Villalba is a freshman Republican Texas State Representative for House District 114. A fourth-generation Texan, Jason was born in Dallas at Methodist Hospital. As the son of an airline mechanic, from an early age Jason was taught to work hard, study diligently, act with integrity and do what’s right. As a young man, Jason mowed lawns, worked as a checker at Walmart and a stockboy at a local hardware store to help out his folks. The first in his family to graduate from college, Jason worked his way through Baylor University where he studied Economics and Finance, then graduated from the University of Texas School of Law. As a former financial analyst and as a partner at one of Dallas’ most respected law firms, Jason has hands-on experience working with and advising growing businesses and start-ups and dealing with complex financial and corporate transactions. As our State Representative, Jason will put his diverse business and financial experience to work to grow our economy, create high-wage jobs, cut wasteful spending and keep our taxes at current or lower rates. As the product of Texas public schools and father of two young girls who will soon attend elementary school in the Dallas ISD, the quality of our public schools is not just a campaign issue to Jason – it’s personal. That’s why as our State Representative, Jason will work tirelessly for meaningful public education reform that broadens charter schools, includes intra-district school choice for our parents and requires more accountability from our administrators and teachers. Like you, Jason believes that improving our schools will strengthen our communities, our economy and our future. An active member of our community for more than a decade, Jason currently serves on the development committee of the Dallas Zoo and is an active member of the Dallas Children’s Trust. Jason has served on the Board of the Dallas Housing Finance Corporation, as the appointee of City Councilmember Ann Margolin, and he has served as a member of the Dallas County Citizens Election Advisory Committee, as the appointee of County Commissioner Maurine Dickey. Jason is the immediate past Vice-Chair of the Dallas County Republican Party and the current Chairman of the Dallas Chapter of the Republican National Hispanic Assembly. In 2006 and 2010, Jason was named as a delegate to the Republican Party of Texas State Convention. As our State Representative, Jason will strive for conservative, bold, results-driven solutions that keep Texas great and that make life better for all of our families and citizens. "I believe that Texas is the greatest state in the Union. However, in order to keep Texas great and strengthen it for our families, I understand that I will have to fight to do what is right, rather than what the special interests demand." Click here to view exclusive interview with State Rep. Jason Villalba.